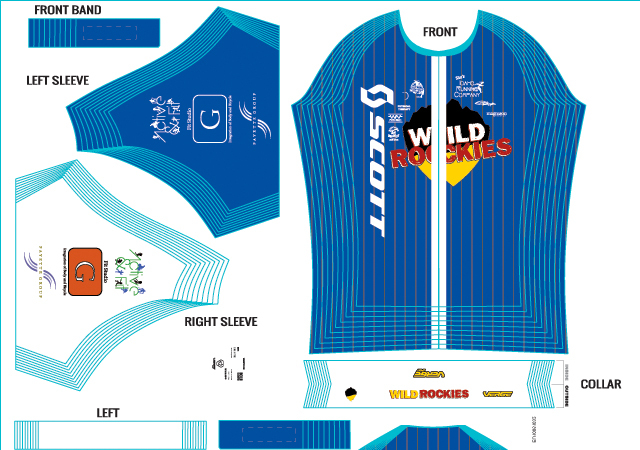 Click the Verge Sport link below to register / login (i.e., login with email address, create password, provide shipping address), scroll to the bottom of the team store banners and click on the “Wild Rockies Race Team 2016 Kits” banner, view selection and pricing, and order 2016 WR Race Team kit items. The 2016 WR Race Team kit proofs are shown in the below slide show. After we meet the minimum order quantity of twenty by our team order closing date, 2/14/2016, your order will ship to your shipping address on 3/10/2016. Note that PayPal account is required for check out, and if you do not have PayPal account, you will be able to create one during the check out process (i.e., valid bank account or credit card number required). After the initial team order is shipped, the WR Race Team store will be open 24/7 for individual orders that are rolled-up and placed into production every Thursday, and then shipped three weeks after that.